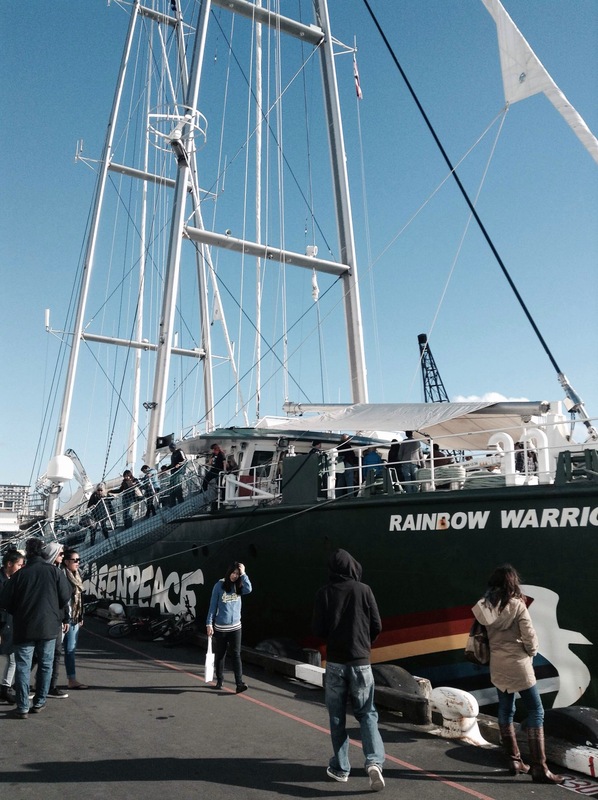 30 years after the bombing of the Rainbow Warrior in Marsden Wharf, Auckland on the 10th July 1985, the Rainbow Warrior III was welcomed back by crowds of environmentalists, hippies and tourists. The story is well known, two french spies acting on behalf of the Government posed as environmentalists and monitored the ship, eventually attaching two limpet mines to the side of the ship which were set off 10 minutes apart. They were intending to cause enough damage to the ship to cause evacuation before the second mine caused her to sink, however curious photographer Fernando Pereira was tragically taken when he returned to fetch his camera. It was in Auckland that the saying “you can’t sink a rainbow” was first coined. 30 years ago the ship was on its way to protest against french nuclear testing at Moruroa in French Polynesia. 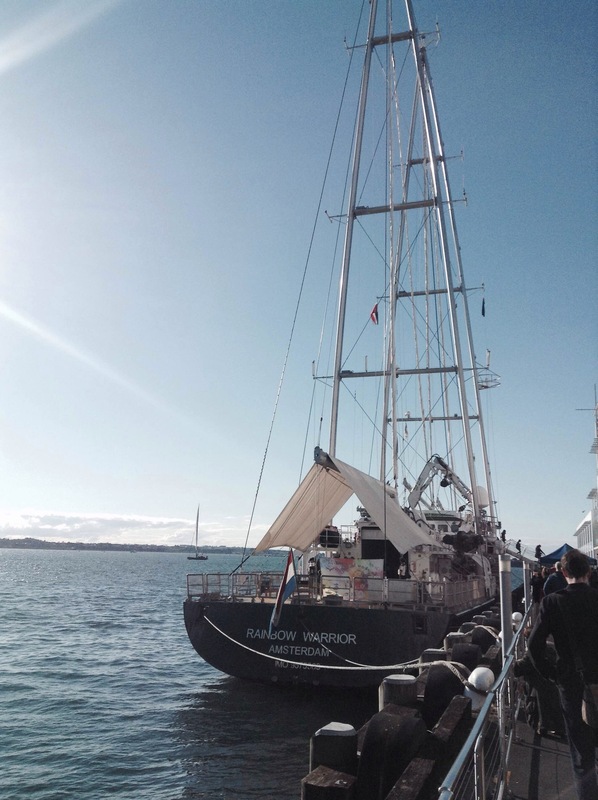 This time, the purpose built ship in use since 2011 was on its way into the a Pacific to fight against illegal and destructive tuna farming. The ships visit was two days and they were offering tours around the boat. Unfortunately these were busy and I did not get a spot, refreshingly so as it demonstrates the appetite for a fairer, greener future. The ship was being skippered by Peter Willcox who was skipper of the original ship, sunk 30 years ago. It was great to see this beacon of hope in waters that held so much meaning and tragedy for the cause, steadfast and welcomed by many.